As the most grown and used nut in the world, the coconut has a wide range of uses, particularly coconut water. Not only does coconut plant growth help stabilize many economies throughout the globe as a crop, but it supplies food and medicinal products for many. 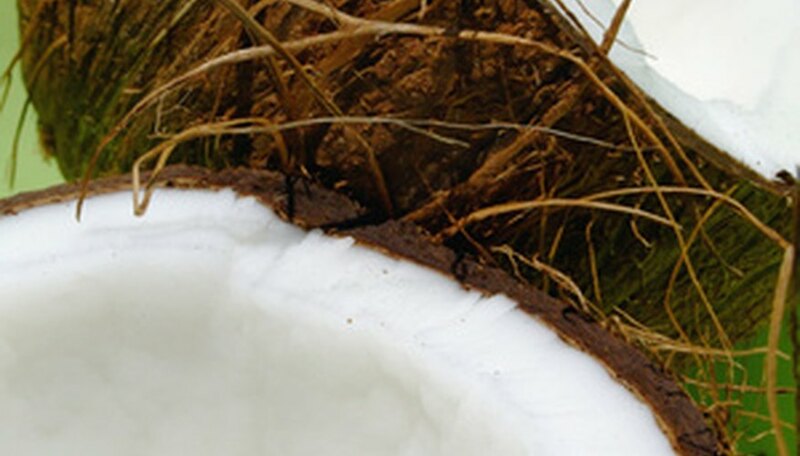 When it comes to identifying coconuts and how they grow, it is important to understand how the coconut water develops inside the nut and its benefits. Coconut plants are most often associated with tropical areas of the globe, but is believed to be native to the South Pacific or Malay Archipelago. Coconut plants flourish naturally along shore lines on sandy beaches, and the nuts can float long distances and germinate on other shores. On the other hand, coconut plants have been spread largely by humans throughout the world--including in the arid desert. Naturally, the coconut tree will thrive in warm, subtropical areas and lowlands. The coconut plant grows from the actual nut, germinating and growing into a large, single-trunked palm with a columnar curving shape and thicker base. The tree can grow up to 100 feet tall with a large crown of leaves. The feather-shaped leaves grow up to 18 feet long and 4 feet wide. The stalks the leaves grow from range from 3 to 5 feet long. At about 5 years old, the coconut begins to bloom with flowers in spring and summer and can range from 2 to 3 feet long. The male flowers are small and whitish yellow, and grow from the end of the branches. Female flowers are larger, light yellow and grow toward the base of the branches. After flowering, a green fruit ripens, growing up to 15 inches long and almost a foot wide with a thick, thready husk encasing a round nut. It eventually turns brown. Three slightly indented holes of soft tissue called eyes grow at one end of the nut. Growing inside the shell is the meat, a 1-inch fleshy white layer also know as the copra. Although the very middle of the coconut is hollow, it is filled with coconut milk, a watered-down, slightly murky liquid. Coconut milk begins as coconut water and is essentially a tree sap, packed with electrolytes, and is similar to human plasma. The younger the coconut, the more pure the water. When freshly extracted from the coconut, this liquid is free from germs and parasites. Coconut water is valued for its high nutritional value and ability to completely rehydrate the human body. In third-world countries, it is often used to overcome diarrheal dehydration and nutrient deficiencies. Coconut water has recently been purely bottled and used as a sports drink high in electrolytes. Coconut water rehydrates, promotes healthy growth, can relieve rashes and other skin lesions when used topically, kills intestinal worms, helps relieve urinary infections, acts as a tonic and diuretic, helps cure malnourishment, helps dissolve kidney stones and aids in the absorption of drugs. Coconuts need a minimum average temperature of 72 degrees Fahrenheit and yearly rainfall of at least 30 inches. If the temperature falls below 30 degrees Fahrenheit, it can damage the tree. Coconut plants are grown from seed and planted on their sides in the sand or mulch. The shoot emerges from the side of the nut. The best time for germination is warm, rainy summer months, but can be transplanted any time.